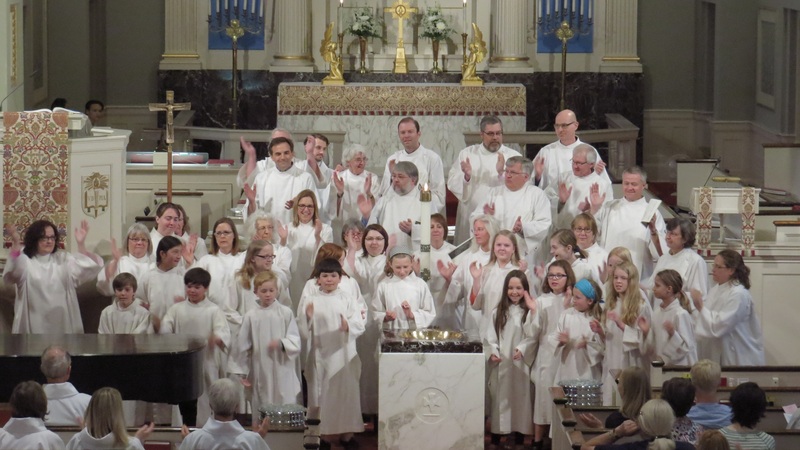 The Gloria Dei music ministry honors the rich musical heritage of the Lutheran church, with an emphasis on full congregational singing led by strong choirs, instrumentalists and the robust support of the pipe organ and grand piano. It also broadens our worship by drawing from the music of other cultures, presenting us with fresh images of the holy and challenging us to meet the contemporary issues we face as a 21st century church. Our Music Director is Tim Strand would be happy to answer your questions by email or phone, 651-699-1378. Do you have a musical gift you would like to share? Please consider joining one of our music programs below. The Gloria Dei Chancel Choir leads our congregation in worship services throughout the year. Rehearsals are Wednesday evenings at 7 pm. Directed by Tim Strand. The Matin Singers perform one Sunday each month at the 8:15 am service. Rehearsal is at 7:30 am the day of the performance. Directed by Tim Strand. Alleluia is Gloria Dei’s choir for children in Kindergarten through 2nd grade that sings at Sunday worship several times a tear. Rehearsals are Wednesday evenings from 5:00 – 5:45 pm. Schola Cantorum (which means “singing school” in Latin) is Gloria Dei’s choir for children in 3rd – 6th grades. Schola sings once or twice a month throughout the choir season from September through May. They also learn to play percussion instruments and choir chimes. Rehearsals are from 5:00 – 6:00 pm on Wednesdays. Directed by Tim Strand. The Gloria Dei Handbell Choir is an adult ensemble that rehearses twice a month and plays for Sunday worship once a month. Our repertoire is generally in the 3-4 octave range, and our ringers are at various ability levels. 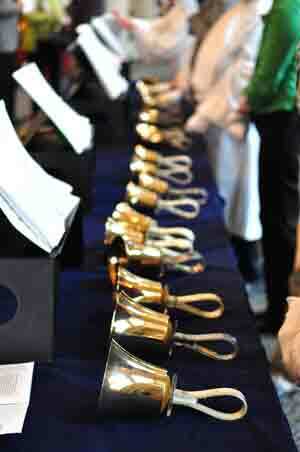 No handbell experience is necessary to participate, but the ability to read music is required. Directed by Amanda Enstrom. Gloria Dei Brass plays for Festival Worship Services such as Easter, All Saints, Christ The King, Reformation and Christmas Eve as well as Hymn Festivals and other special worship services. Directed by Jim Johnson. Gloria Dei is blessed to have so many fine musicians who play regularly during Sunday morning services. A nine-foot Steinway concert grand in the Sanctuary provides beautiful accompaniment for Sunday worship, recitals, and concerts. Gloria Dei has a Möller pipe organ of 36 ranks that fills our Sanctuary with rich and beautiful sound. The main organ was installed in the Chancel in 1964, with the addition of the Antiphonal division, which hangs over the balcony, in 1975. The pipe organ’s sound is enhanced by the reverberant acoustics of the Sanctuary, which helps to encourage hearty congregational singing.